The Magento First Atlantic Commerce Payment Gateway Plugin provides powerful options for accepting payments via First Atlantic Commerce on your Magento online store. This extension allows you to process transactions in up to 145 currencies, with pricing and settlement in up to 15 major world currencies depending on the bank where you hold your merchant account. Your customers can also save their credit cards securely using First Atlantic Commerce for fast and easy checkout. Start using our fully featured payment plugin today! Accept major debit/credit cards – VISA, Master Card, American Express, Discover/Novus, JCB, and Maestro. On Site and FAC Hosted Payment Page Checkout. Choose which credit cards you want to accept. Shows transaction messages within Magento order page. Merchants can pre-authorize, authorize only or authorize and capture transactions. KOUNT risk management solution, 3D Secure, AVS, CVC. Store credit cards securely for faster checkout. Customers can easily & securely save multiple credit cards to their store account for faster checkout; First Atlantic Commerce’s tokenization feature is used to keep credit card information safe. There’s no limit to the amount of credit cards a customer can store on their account. Webgold’s FAC Magento plugin allows for merchants to choose whether they want to use FAC’s hosted payment page for checkout or to keep customers on their website during checkout. Both options are seamless and fully integrated into your site. Merchants can now process refunds for an order made using First Atlantic Commerce directly from within Magento – no more logging into your merchant account to process refunds! 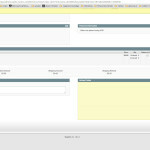 Speed up your store management by processing refunds from the Sales > Invoices screen. 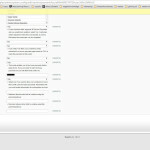 Click the invoice you would like to refund, then click “Credit Memo” at the top right of the screen. Scroll to the bottom right corner of the the Credit Memo Screen and click the “Refund” button. First Atlantic Commerce Magento plugin features support for security and fraud prevention using Kount, AVS (Address Verification) and 3D Secure. If these solutions are available with the merchant’s bank, you can enable them with our Magento plugin. Ensure that you backup your database and files. 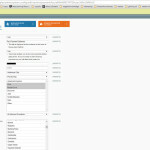 It’s required to enable cache in the administration panel of your site. Go toSystem/Cache Management. Choose all caches and take action “Enable” then submit. Use FTP client (such as Filezilla, WinSCP, cuteFtp) to upload or copy all folders in the zip package to your Magento site root folder. This will not overwrite any existing file; just add new files to the folder structure. 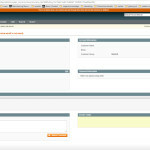 After uploading is done, log in your Magento administration panel to refresh cache. Go to System/Cache Management. Select all caches and take action “Refresh” then submit. Navigate to System/Configuration/Payment Methods. If you can see the extension tab, it is installed properly. Now if you get Access denied error when click on the extension tab, you need to log out admin panel and log in again. Go to front-end and try to process, make sure that everything is OK.
That’s it! Sit back and enjoy secure payment processing using First Atlantic Commerce! The “Enabled” field allows you to enable or disable Magento First Atlantic Commerce Payment gateway as the payment method for your website. The “Title” input box allows you to set what the customer will see when choosing a payment method. Usually something like “Credit Card” or “First Atlantic Commerce” will work. “Test Mode” allows you to enter a test merchant ID and a test Password so that you can test transactions to ensure everything is OK before going live. The “Merchant ID” field allows you to enter your live or test Merchant ID provided by First Atlantic Commerce. The “Password” field allows you to enter your live or test password provided by First Atlantic Commerce. Authorize – this option checks that the customer has enough money on their credit/debit card to make the payment however it does not actually take the money from the card. It can be used in situations where the merchant would like to put the payment on hold and only accept payment when the item being bought has been shipped. Authorize and Capture – this option checks that the customer has enough money on their credit/debit card and actually takes or ‘Captures’ the money from that card to be routed the merchant’s bank account. The “New Order Status” field simply sets the status of new orders to “Processing”. No changes necessary here. The “Credit Card Types” allows you to select which cards you would like to accept on your site. “Payment from Applicable Countries” allows you to set the countries that you would like to accept payments from. “3D Secure Card Validation” allows you to increase security against credit card fraud on your website by requiring that customers put in their credit card number, CVC code as well as their 4 digit Personal Identification Number (PIN) when making purchases. This option should only be enabled if your bank supports 3D Secure. “Address Verification” allows you even more security against credit card fraud. This option compares and validates the billing address used when making an order on your site and the address associated with the credit card being used to make the purchase. If the addresses match then the transaction will succeed, if not the transaction will fail and an error will be shown. “Hosted Payment Page” allows customers to buy the items on your site but when they have to pay, they are routed to a secure hosted payment page (HPP) developed by First Atlantic Commerce to enter their credit card details and complete the transaction. You are required the fill in the “Page Name” and “Page Set Name” section for HPP to work. You must give your Hosted Payment Page a name and Set Name in your First Atlantic Commerce merchant admin and enter that name in this field. KOUNT is another fraud protection service that is offered by First Atlantic Commerce. If your arrangement with First Atlantic Commerce includes KOUNT then you can click “Yes” for “KOUNT Service”. “KOUNT Test Mode” allows you to test your transactions in the KOUNT system to ensure everything is working well. “KOUNT Merchant ID” is your connection with the KOUNT service. First Atlantic Commerce will provide this to you and you can enter it here. The “Tokenization” option allows your customers to save their payment details for easier checkout. It does not store their actual credit card information but a randomly generated code or ‘token’ that represents their card. This makes storing payment details more secure. “Minimum Order Total” allows you the set the minimum amount of money a customer must spend when making an order. “Maximum Order Total” allows you the set the maximum amount of money a customer must spend when making an order. “Sort Order” allows you to set the order that payment options will appear on your website to the customer if you have more than one payment option e.g. First Atlantic Commerce and Paypal.